We are excited to announce that Penguin Random House has become the first book publisher to sign onto the Renewable Energy Buyers’ Principles, part of the Renewable Energy Buyers Alliance (REBA), which informs utilities and other suppliers what industry-leading, multinational companies are looking for when buying renewable energy from the grid. The program, which is supported by the World Wildlife Foundation (WWF), launched in July of 2014 with just 12 signatories. 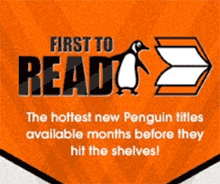 Penguin Random House is now the 78th company to sign. Through our paper certification process, LED lighting program, and energy offset programs, among other programs, Penguin Random House continues to improve and implement “green” practices across our operations. Since 2014, we have already reduced our carbon emissions by 10%, and we remain committed to reducing carbon emissions by 10% by 2020 and 20% by 2025 through improvements to our company’s infrastructure and energy-saving capacity.